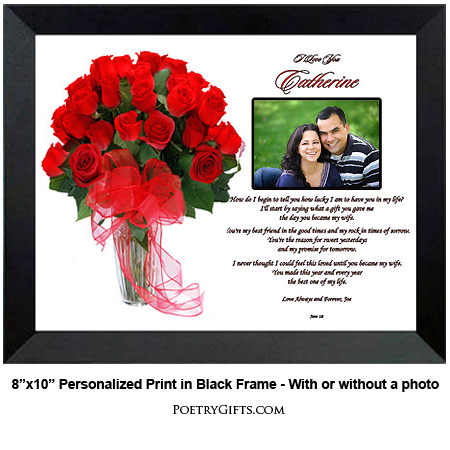 Here is a love poem gift for your wife personalized with names, personal message and optional photo. 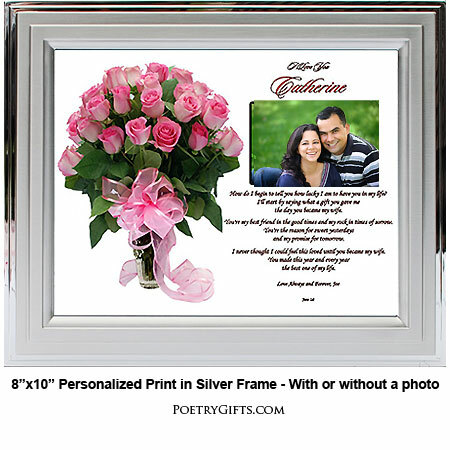 Let your sweetheart know how special she is with this Poetry Gift in a striking rose bouquet design. It's a truly meaningful birthday gift for her or unique anniversary present. 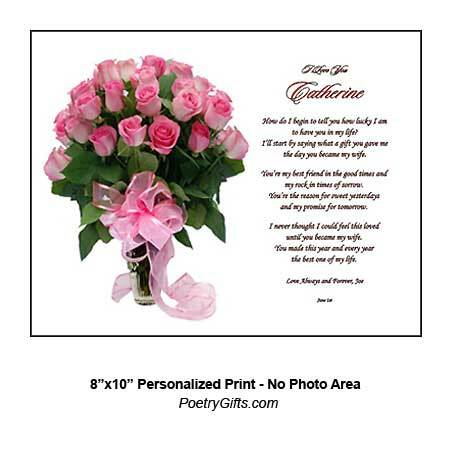 Unlike real roses, this beautiful rose bouquet design and touching poem can be enjoyed year after year. What wife wouldn't love receiving this romantic love poem from her husband! 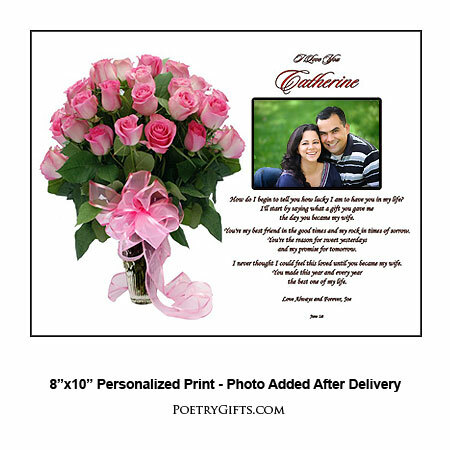 The beautiful rose bouquet design and personalized poem is a perfect birthday or anniversary gift for her. Add a favorite photo and this becomes an even more special present. This Poetry Gift can be proudly displayed on her desk or dresser and read and enjoyed over and over again. It will be a constant reminder of how much she is loved. 3. Closing Phrase and Name (as seen after poem) - (Examples: Love Always, Rick; With Love, Your Number 1 Guy; etc.)"